Two Island music veterans kick back and play your favorites. A tasty jazz and wine pairing with this family band of three brothers. The best wine pairing for Italian food is Chianti or Valpolicella. And the best musical pairing is a lady singer with a great big voice. 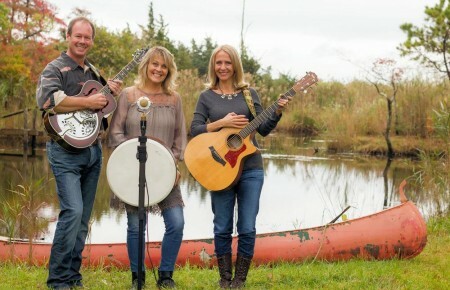 The Kingston Trio, Gathering Time and Claudia Jacobs will take the main stage at 8 after an assortment of Long Island’s favorite acoustic acts perform in the lobby starting at 2pm. Down home blues under the railroad tracks.